We’ve all heard of the famous lawsuit against a well-known fast food chain in which the customer spilled hot coffee in her lap. Did you know the jury awarded her nearly $3,000,000 in damages? The typical limit for such a suit under your general liability policy is $1,000,000. Where would the additional $2,000,000 come from if this were your business? The answer is, without a commercial umbrella policy, it would come from you! A commercial umbrella policy provides an extra layer of protection in case you are facing legal action that will exceed your general liability limit. Cooper’s Insurance can provide valuable commercial umbrella coverage with limits of $2,000,000, $5,000,000, $10,000,000 and more at costs that are generally very affordable. Please contact us to learn more about this important piece of your insurance portfolio. One more thing…take another look at your lease. All landlords require you to have liability insurance but many are requiring limits for their tenants of $5,000,000 or more due to the ever increasing amounts of settlements and jury awards. 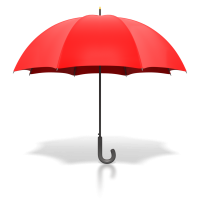 A commercial umbrella policy will ensure that you’re in compliance. If you find yourself needing more liability coverage to satisfy your lease requirements we at Cooper’s Insurance can help.